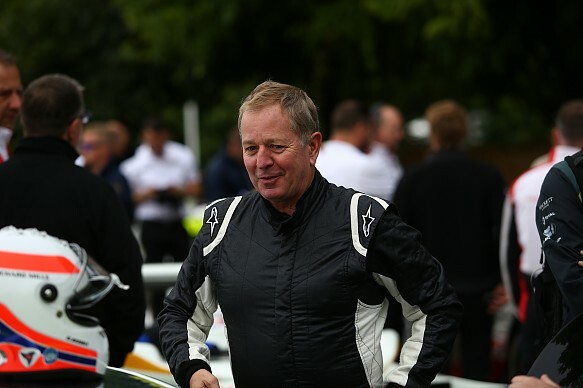 Le Mans 24 Hours winner Martin Brundle will return to the event this June to compete in the Aston Martin support race together with record-breaking Olympian Sir Chris Hoy. They will share a Vantage GT4 in the Aston Martin Racing Festival one-make event, which takes place on the Saturday morning ahead of the blue riband World Endurance Championship round. The car will be run by a team from the Aston Martin Performance Centre based at the Nurburgring. Brundle, who won the 24 Hours in 1990 with Jaguar, is returning to compete at Le Mans for the first time since 2016 when he took part in the Road to Le Mans support event in a United Autosports Ligier-Nissan JSP3. He qualified on pole position and finished second in the race with team regular Christian England. The Sky Sports Formula 1 commentator told Autosport: "I was going there to support my son Alex [who is racing a Ginetta for the Manor privateer LMP1 team] and then this came up. "I'm doing it because I'm there anyway and I just love that race track, and I'm also an Aston Martin brand ambassador and friends with Chris — it all made sense. "Last time in the LMP3 car I was so keen to get going that when I left the pitlane in practice I crossed the exit line leaving the pits and found myself up before the beak [race director]." Cycling legend Hoy will be racing at Le Mans for the second time after competing in the 24 Hours in 2016 with the backing of Nissan aboard an LMP2 Ligier JSP2 entered by Algarve Pro Racing. Aston Martin's track day Vulcan will be making its debut in the 45-minute Festival race, which begins at 10:15am on Saturday June 16. A pair of the 820bhp cars entered in the invitation class will be driven by Akinari Miura and Toro Nakano and Gleb Stepanov and Stephen Tomkins. 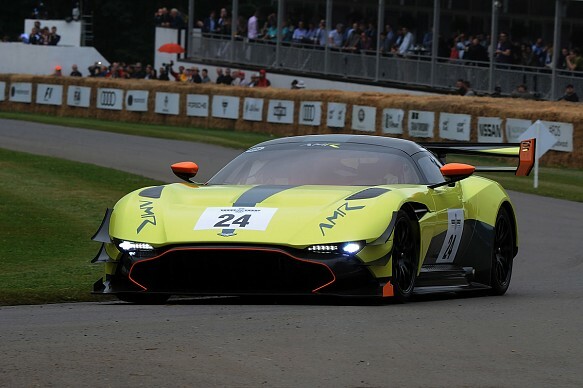 Former Aston Martin chairman David Richards, whose Prodrive organisation has masterminded the British manufacturer's racing activities since 2005, will also take part in the event. He will drive a Vantage GT4 entered by the British Beechdean squad and will share the car with team owner Andrew Howard. TV personality Paul Hollywood, judge on The Great British Bake Off, and Aston boss Andy Palmer will also drive Vantage GT4s. The Aston Martin Vantage GTE driven to the WEC GT drivers' title by Nicki Thiim and Marco Sorensen in 2106 will take part in the invitation class. It will be entered under the AMR Young driver banner for Lasse Sorensen and Benny Simonsen. They are respectively the younger brothers of Marco Sorensen and Allan Simonsen, who died at Le Mans in 2013 driving an Aston Martin. Historic racer Shaun Lynn, father of new Aston Martin factory driver Alex, will race a Vantage V8 GT2 in the Festival.